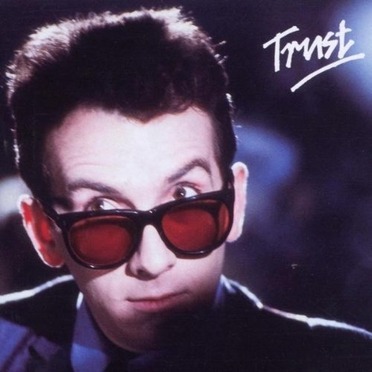 Trust is an album by Elvis Costello and the Attractions. It is Costello's fifth album, and fourth with the Attractions. It was also his fifth consecutive album produced by Nick Lowe, who handled production on all songs except "Big Sister's Clothes" (which the liner notes make clear by stating that Lowe was "not responsible" for it). Costello's original intent with Trust was to cross the melody of Armed Forces with the rhythm of Get Happy!! The songs on the album dealt with a general sense of disenchantment he felt during the time, with the recent election of the Conservative government as well as tensions within his first marriage, which gave them an overall cynical tone. As a result, the general lyrical content of the songs describe a world that is essentially the opposite of what the album title implies. Recording resumed at Eden Studios, where previous albums had been done.